Here at KineticD, we are proud to unveil our new, versatile pricing. While we still love our established pay as you grow pricing option, but we realized we would also like a more conventional pricing option so even the smallest businesses can get a great deal through our new bucket pricing. We will still provide the same great and reliable cloud backup services for your network that we always have, but now at even better value than before. There are several benefit to paying annually, rather than monthly. This new system also allows people who use relatively little data to have access to an extremely cost effective cloud backup option with plenty of extra room for company growth. For businesses that still prefer to pay per month, simply choose the pay as you grow option. Satisfying our customers in terms of pricing is very important to us, but our main concern is maintaining the level of professional integrity and quality in our services. It would do no good at all if we changed our prices, only to compromise on our performance. Rest assured, you can rely on our continued dedication to providing the best cloud backups possible for your data storage and recovery needs. 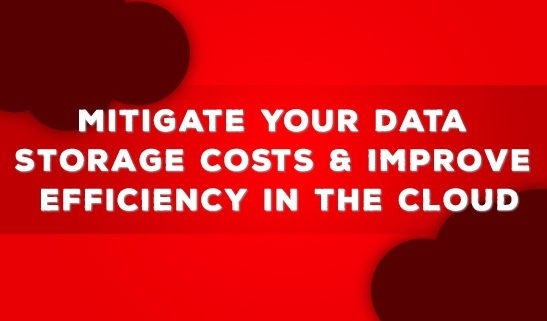 Saving valuable and important data is necessary for any size business. We provide a quick and easy way to do so, with little to no inconvenience to you or your employees. Our patented system backs up your files automatically, relieving you of the burden of remembering to perform the service yourself. Thanks to our new pricing option, you can utilize our professional and secure services for less than a night out at the movies, donuts and coffee for your office, or refuelling even the most efficient hybrid cars at the pumps. We have undergone many changes as a company, but each has been with a better future in mind. Refining our pricing options is the next improvement that we hope will make your business run more efficiently and effectively, while also knowing that your networks are protected with state-of-the-art cloud technology. Want to start protecting your data? Sign up for a free, no obligation trial today. To learn more about our services or to enquire about protecting your business’s network, call us at 1.866.430.2406 or email your questions to sales@kineticd.com. 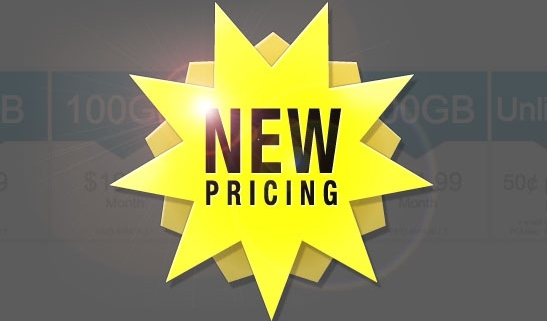 Feel free to give us your feedback about our new and improved pricing options. Cloud computing has been a frequent topic of discussion for businesses for the last several years, but like all technologies, the discussion continues to evolve. This year meetings will be centered around new subject matters related to cloud services, integration and new products on the horizon. Here is a further look at these three areas that will increasingly be examined in the upcoming months. While backups ensure that valuable data is protected and stored in case of failure, companies are focusing on other ways to leverage the cloud. Businesses can also use the scalability of cloud computing to access enterprise applications affected by any disasters as well. The trend this year in leveraging cloud capabilities is the security of backup to the cloud partnered with the capacity to facilitate recovery through this application accessibility. Cloud storage providers are reacting to this need with recovery-as-a-service (RaaS) capabilities. In disaster scenarios, lost data is not only accessible from a backup data center, but also the computing capacity to speed up the recovery process. Data centers offer standby capabilities for companies to access their business applications from any location, preventing major disruptions in operation. This year both businesses and individuals will notice some level of cloud integration in more of the technologies they regularly use. Data storage providers have already begun to build cloud capabilities directly into the control panels for their products. RaaS products are an example of integration of backup and recovery technologies. Security features are also being integrated into the cloud. Cloud-integrated security provides businesses with a simple approach to monitoring activity. A single dashboard removes the issues with complexity. Cloud-integrated security also frees business applications from a rigid structure. The flexibility of the cloud environment allows companies to make security changes as needed, and the simplicity allows them to make the changes quickly and accurately. Finally, businesses can expect to spend more time in the upcoming months discussing storage containers and their possible disruption to cloud technologies. Storage container products can self-contain individual applications. The containers can have their own APIs, and the products allow for deployment in the cloud. Companies such as CoreOS and Docker are successfully designing these virtual storage containers. The products are getting important support from big players in cloud services like Google, Microsoft Azure and AWS. One of first entries of the year on the Google Cloud Platform Blog discussed Docker technology and announced the beta version of Google Container Registry. 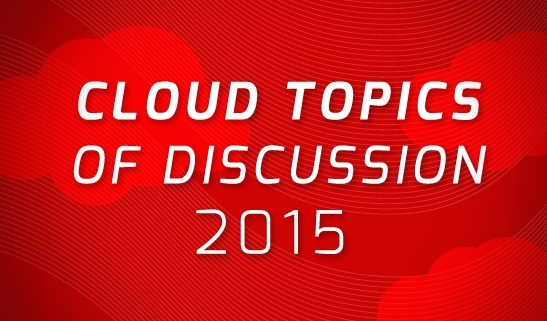 Cloud services are not just an important topic of discussion for large enterprises. Small and medium-sized businesses can benefit from the scalability and security of the cloud from the right service provider. If your SMB needs to understand trends in cloud computing and how cloud services can keep important data secure, contact Data Deposit Box at 1.866.430.2406 to start a discussion today. Cloud storage is often discussed in the context of giant server farms in constant states of downloading, storing and refreshing data for huge enterprises, even though all businesses need data security. Data Deposit Box wondered why cloud solutions are directed at the big guy, when most businesses require some measure of protection for digital information. We decided to focus on bringing the benefits of cloud computing to small and medium businesses in 2002, and have found success helping a new group of businesses understand the importance of securing valuable data. CIO Review magazine featured this important step in cloud computing in its February 2015 issue. The article highlights the traditional cloud solution, Data Deposit Box’s answer for smaller businesses and the work ahead. It’s been said many times for many reasons, but it is true for cloud storage, too: Size does not matter. CIO Review’s feature on Data Deposit Box points out that the cost and complexity of implementing a data security solution using cloud storage has traditionally kept smaller businesses away. Data Deposit Box examined the disparity between the services and scale readily available to large enterprises and their lack of availability to smaller organizations. The article describes how Data Deposit Box “has profoundly answered” the disparity of secure data storage for small and medium businesses “by offering SMBs a reliable cloud solution which enables them to secure, share and access information from any location at any time.” Data Deposit Box formulated a cloud computing solution for businesses of any size, giving smaller companies a way to protect data without a big business budget. Data Deposit Box offers SMBs data security through a hybrid backup method. All files are stored locally in traditional on-site storage and duplicated in the cloud. New and updated files are streamed to Data Deposit Box’ SSAE16 certified cloud data centers, creating a constant backup of valuable information in the cloud. The information is readily available for recovery in case of on-site failures. Data Deposit Box makes these services available to smaller businesses by offering implementation that requires minimal time and investment from business owners. SMBs get the scalability and protection of the cloud with a price tag and maintenance suited for their budgets. 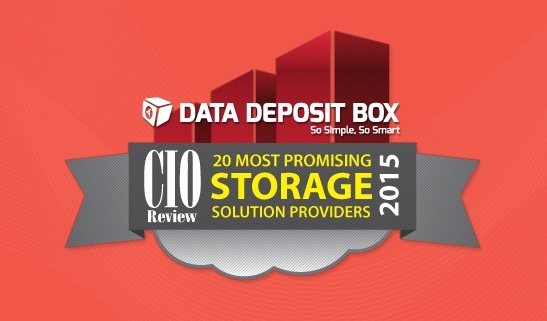 CIO Review’s article also highlights Data Deposit Box’s plans to roll out a device-agnostic SMB product next. This development would further bridge the gap between the big guys and SMBs by allowing changes from one central console. The full CIO Review is available here. You already know that size doesn’t matter when it comes to the value of your company’s data. Data Deposit Box can help you find a cloud solution for your data that is scaled for your business. To find out more about our simple and affordable security solutions for your digital information, contact Data Deposit Box at 866.430.2406 today. When it comes to choosing the right backup provider, one needs to consider the reliability, availability, and redundancy of each vendor. On the surface, reliability, redundancy, and availability appear to be the same thing since they help to increase efficiency, however, there are distinctions that one should be aware of when choosing a cloud backup vendor. Redundancy is necessary because it increases the amount of functional components in a data storage system. If that system goes offline for any reason, such as maintenance, there is no disruption to your organization, because there are duplicate functions that can take over. Redundancy helps to keep a system operational during planned downtime. Keep in mind that redundant functions exist in all sorts of data center systems, especially in servers, storage, power and cooling, fans, and more. To shed more light on this concept, let’s use the “N” theory. “N” represents the amount of elements that are needed to perform a certain function. N+1 means that the system has one more than what is necessary for a function to run. If you want to double or even triple the amount, you would use 2N and 3N respectively. The more redundant elements or redundancy a cloud backup or data center has, the longer it can be unavailable and your organization will still remain fully operational. It is always a good idea to plan for the unexpected. Think of availability as preparedness for unplanned downtime. When determining availability, one needs to calculate how much downtime capacity a storage system has. For example, a system that operates every single day of the year or for 8,760 hours and has an availability of 97.4% means that it is capable of withstanding 8.53 hours of annual downtime. The higher the downtime percentage, the better. Reliability is a combination of redundancy and availability. There are many different ratings used to indicate reliability in the industry. And while there isn’t a universal standard, it is much easier and productive for one to be fully aware of their options so they can implement a strategy to find the best cloud backup solution for their needs. Although a large number of companies and organizations feel that they need to have around-the-clock uptime and availability, in reality the cost to build a strong data center that is capable of meeting those demands often exceed what is in the budget. Also, as business needs grow, so does the need to expand the capabilities of the data center, which not very practical, affordable, or easy to do. Instead, the best solution for businesses that need a strong data center, but don’t have the time, money, or resources to construct one is to use a credible cloud vendor that has a strong data center behind it. All of your data remains safe, secure, and accessible in real-time. As your data storage needs grow, you don’t have to spend time or money buying additional storage devices, or trying to develop a plan that enables you to keep up with your needs. Also, as technology continues to advance, you gain access to the latest and greatest developments from your cloud vendor. Contact Data Deposit Box today to learn how we can improve the speed, performance, and efficiency at which your data is managed, archived, and recovered.